There’s nothing more frustrating than an itch you can’t scratch. It becomes an act of calisthenics or perfect alignment with that one corner in the room with the right texture to alleviate that torture. The relief is indescribable. Imagine, then, what it must be like not to have the dexterity to reach that itchy spot, ever. That’s the life of the dog with chronic skin problems. Whether it’s an allergy, dermatitis, mange, or the eternal diagnosis of “unknown,” many pet owners throw their hands in the air in surrender. It’s easy to spend thousands of dollars at the vet’s office, only to finally be prescribed dangerous steroids along with a postscript shrug. You can change foods to the point of bankruptcy and even with the grain-free, all natural recipes of the pricey foods, your pet still suffers. Frustrated, you start fussing at your dog to stop scratching because it is frustrating. Thankfully, there are options besides physically scratching the dog’s many out-of-reach spots all day and all night. When I say options, I mean that nature provides remedies and our job is to find what may be the best relief for our beloved dogs. Personally, I prefer to stay away from antihistamines, steroids or any chemical treatments. 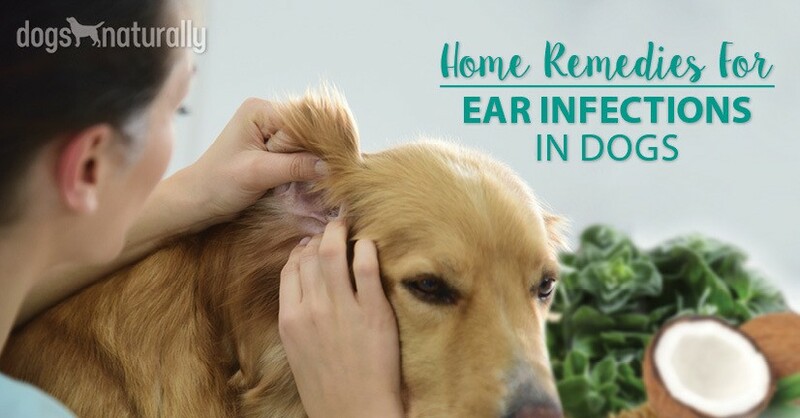 And if you’re also willing to practice and prepare natural, noninvasive treatments for your dog’s itching, then I have some good news: I’ve done a lot of optional research for my fellow dog lovers! 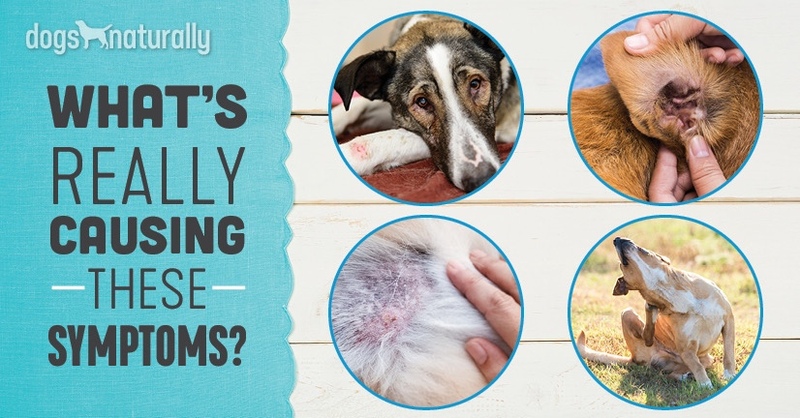 Here are some lesser known natural options that can ease the stress of constant itching in both adult dogs and puppies. Also known as curly dock, many people consider this herb to be a weed. Yellow dock is an herb whose roots can be used as medicine in tea. It’s used for pain and swelling (inflammation) in the nasal passages and respiratory tract. It’s also used to treat bacterial infections and STDs. And, yes, dogs can contract sexually transmitted diseases. In skin conditions, yellow dock historically has been successful topically for skin diseases, inflammation or dermatitis, rashes, psoriasis and more. A recipe for this includes a tablespoon of yellow dock in two cups of boiling water. Wait until it cools, strain it and apply to your dog’s skin as a rinse. Do not rinse out the yellow dock. This is known as a tea infusion of yellow dock. Not for internal use. The tea can also be made by boiling the roots with the chamomile, black, or green teas you may already have in your kitchen. They each have supplemental healing and nutritional values. Calendula is a medicinal plant whose essential oils are extracted from the entire plant, including the flower by a process called hydro-distillation. The oil has shown to be anti-inflammatory, anti-tumorigenic (anti-tumor), an antioxidant, and a wound healer. Calendula can be added to the yellow dock tea as an added weapon against the dog’s suffering. Add 1 tablespoon dried calendula petals to 2 cups water. Bring water to a boil, remove from heat then add calendula. Let steep until cool. Strain. Apply to your dog’s skin, let it dry and do not rinse. We’re all familiar with aloe vera as a medicinal plant. Slicing open the leaves will offer you a slimy gel substance that is hugely beneficial to your dog’s skin, injuries, and itchy spots. If heated, aloe vera will lose any medicinal value. Slice off the spiny edges, peel the skin back and rub it directly on the affected areas. Let it dry and repeat the treatment as often as you can. Neem oil is a kind of vegetable oil pressed from the fruits and seeds of the neem tree which is an evergreen. Not used for cooking, this oil has been used for skin diseases, inflammations and fevers, as an insect repellent and insecticide, and a parasiticide. Put 4-5 drops of oil into your regular dog shampoo and lather. Set for 7 minutes before rinsing. A little research turned up many options for purchasing this oil. About 10 or so cloves of garlic boiled with 6 lemons cut up with their skins make a soothing solution when cooled and applied liberally to the dog’s coat. Garlic is safe for dogs in moderate quantities (read more here), and the bulb heated in water is safe to apply to your animal in this way. Part of the lily family, garlic is a natural antibiotic, antifungal, and antiviral, a flea repellant and anti-parasitic substance. Known for its fragrance as black licorice, like it or not, is an herb that comes from the daisy family. The seeds and the oil are used for medicinal purposes. It is a known remedy for cough, gas, runny nose and asthma as well as its ability to treat external parasites and other skin conditions. The natural chemical constitution of anise oil can perform several important functions in the body as well as protect your pet against harmful viruses and bacteria. The chemical ingredients can also have insecticidal properties. Go easy on the anise, adding just 1-2 drops to an herbal tea rinse. Leave on for a few minutes then rinse thoroughly. They are consumed for their digestion-enhancing and breath-freshening properties. A member of the parsley family, their seeds can be steam distilled to release the essential oil. Fennel seed can help expel worms and has antiseptic, antispasmodic and analgesic properties. It is also used in mouthwashes, toothpastes and even dog treats! Add 1-2 tablespoons to your black tea or chamomile. Let it steep and rinse your dog when cooled. You can crush the seeds and rub into your dog’s coat to repel fleas, as well. Not only is this herb an Italian food seasoning, it is high in antioxidants and flavonoids and is reported to be an antimicrobial. It is non-toxic and is used to help with digestive issues. Oregano oil has been shown to have antifungal properties. Put a few drops in a cup of water to spray directly on your dog. Another herb best known for the flavor in pesto, it has also been proven to have antioxidant, antiviral, and antimicrobial properties. Steep a handful of leaves with your homemade herbal tea remedies, or you can crumble it into your dog‘s food. While you are setting up your home garden of herbs and waiting to make the elixir of relief, massage cold pressed coconut oil into the coat and down to the skin of your suffering dog. It is full of healthy fats that not only relieve itchy, dry skin, but the lauric acid in coconut oil has antibacterial, antiviral, and anti-fungal properties, as well. When using herbal rinses, to guard against possible allergic reactions, try the herbal wash on a small area of skin before bathing. With no adverse reactions like redness, bathe once or twice a week and massage coconut oil into the skin between baths. Willow Mason is a retired manager from the Postal Service. A few years ago, she sold everything and moved to Costa Rica to live a relaxing lifestyle. Willow raised Great Danes for 18 years and before her first Dane, she spent 10 years researching the breed. That research led to a near obsession to disprove the myth that Danes have a shorter life span. She learned and practiced feeding healthy dog food and herbal supplements to insure a long, healthy, full life for each of her 5 Great Danes. Each one lived to be at least 13 years old. Now, Willow has a medium to share what she has spent a lifetime researching and learning.